Based in Luxembourg, Cargolux’s operations are focused in Europe but cover every continent on the planet. The company has a good number of Boeing 747 aircraft, a competitive, wide-bodied freighter. Cargolux, along with Japan’s Nippon Cargo Airlines, will serve as the launch customer for Boeing’s 747-8F aircraft. Situated in Dubai, Emirates SkyCargo’s volume increased between 2008 and 2009 when almost every other cargo airline saw a decline due to economic uncertainty. With 10 Boeing 747 8F planes and six more Boeing 777Fs on the way, Emirates SkyCargo is well positioned for the future in air freight. Singapore Airlines has long been one of the most highly recognized airlines, and its cargo division is no different. 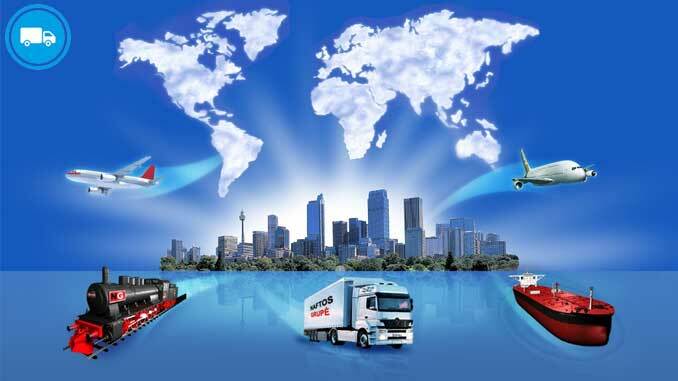 With dense operations throughout Southeast Asia, the company has expanded service in North America, Europe and the Middle East. Singapore Airlines Cargo operates 13 Boeing 747 planes, but no new orders are reportedly on the horizon. Much of China Airlines Cargo operations are shrouded in mystery, as is much of the country. 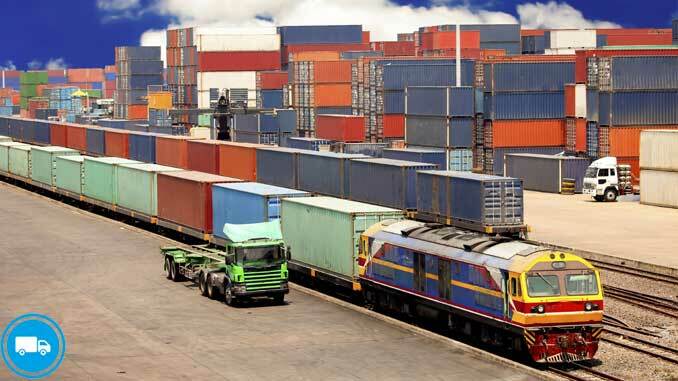 What is known is that the company is perennially in the top 10 worldwide in terms of volume carried. 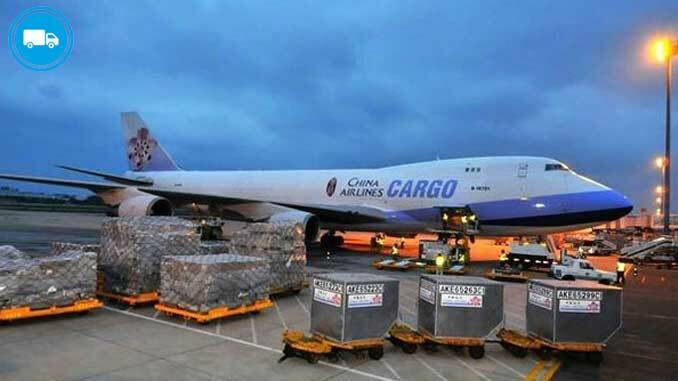 China Airlines Cargo’s fleet is made up of 19 Boeing 747-400F planes, and is expected to expand with the addition of Boeing 777s or Airbus A330 wide-bodied freighters. 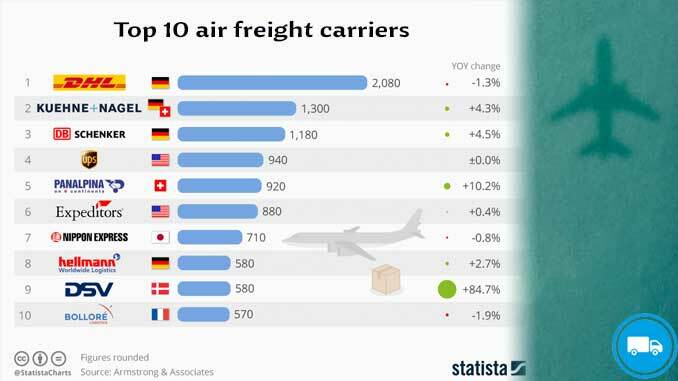 This German-based air freight company got a boost in a big way earlier this year, when five Boeing 777s were announced to be coming to the Lufthansa Cargo fleet. The company still operates 18 McDonnell Douglas MD-11F freighters, including the last of its kind ever built. As part of the largest airline in South Korea, Korean Air Cargo currently operates 24 freighters in over 100 destinations worldwide. The company is extremely well positioned for the future of air freight, with capacity set to take off with the announcement of seven Boeing 747-8F freighters and five Boeing 777F planes joining the fleet in the future. As the flagship air cargo service of Hong Kong, Cathay Pacific Cargo is in an excellent position to grow with the budding Chinese economy. The company has ambitious expansion plans, with plans to add 10 Boeing 747-8F and eight 777F planes in the future, raising capacity to meet the region’s growing demand. In terms of volume, it’s hard to match the breadth of the DHL Aviation air freight operation. 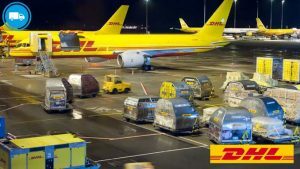 The company, with is comprised of main airlines European Air Transport Leipzig, DHL Air UK, DHL Aero Expreso and SNAS/DHL, claims to be the global leader in air freight, carrying 12 percent of the total worldwide market. Operating out of its Worldport headquarters at Louisville International Airport, UPS Airlines services shipping and logistics functions for just about every country worldwide. The company’s dedicated air freight fleet is rumored to be pursuing orders for the Boeing 777 freighter, which would add further capacity and functionality to an already impressive operation. 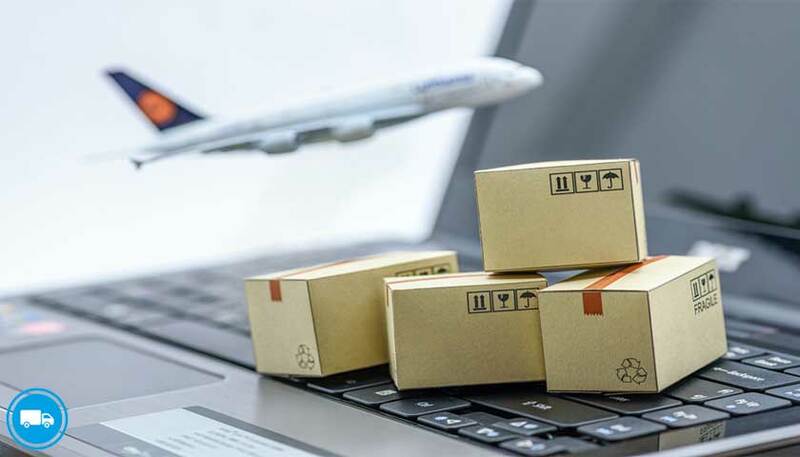 It’s difficult to argue with this selection, as FedEx Express handles the highest volume in terms of air freight flown, and has the largest dedicated fleet. 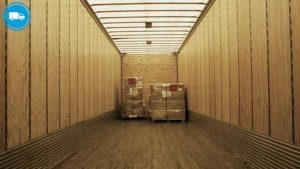 In fact, the company’s air freight operations are so vast that FedEx Express operates the fourth-largest aircraft fleet in the world. Working out of its SuperHub at Memphis International Airport, the company has a diverse fleet that features light carriers like the Cessna 208 Caravan all the way up to the huge Airbus A300. FedEx Express is also heavily involved with the Boeing 777 freighter, and has 12 in operation already. The company has booked up Boeing with orders for the coveted freight plane, with 28 orders scheduled and contract options for an additional 15. The company’s FedEx Feeder program allows its propeller-driven aircraft fleet to feed packages to and from airports, which handle larger loads.